In excavated condition. 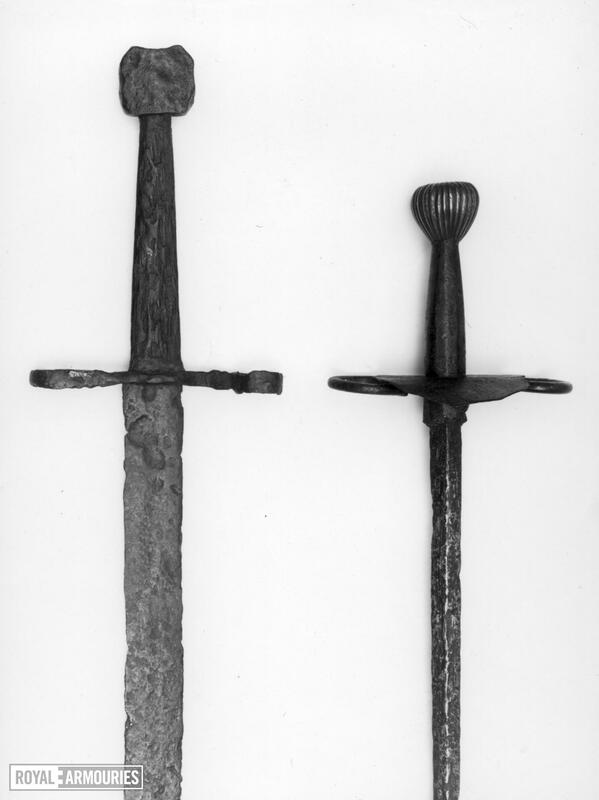 Iron hilt consisting of pommel and horizontally recurved quillons retaining traces of silvering. Wooden grip. Double-edged blade, much corroded. 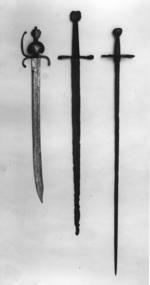 A number of swords of this type have been found in Hungary (J. Szendrei and J. von Reymond-schiller 'Unggarische Kriegsgeschichtliche Denkmaeler in der Milleniums-Landes-Ausstellung' pp.64-5, 189) while another in Real Armeria (G.26) is described as 'Slavonic' in 'Relacion de Valladolid' [CHECK THIS REF]. 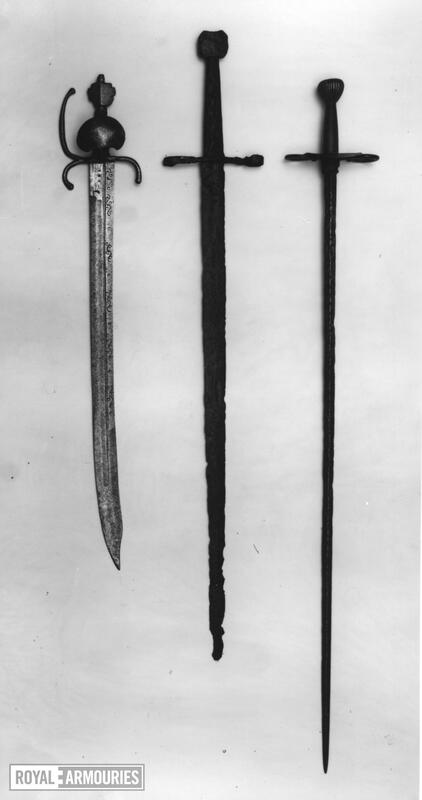 A number are also in the Venice Arsenal (used by mercenaries? ).